FRASER ISLAND: March and April is a stunning time to visit Fraser Island – the climate is temperate, autumn birds are returning to our shores and, with the change of season, the many Paperbarks and Eucalypt trees around the resort flower and fill the air with a sweet aroma. Most insects will be making last ditch mating attempts before the cooler weather overcomes them; Damselflies and Dragonflies are prolific and, if you look in the dead grass tree stalks in the wallum, you’ll likely find our blue Carpenter Bees (Xylocopa) busily burrowing away. 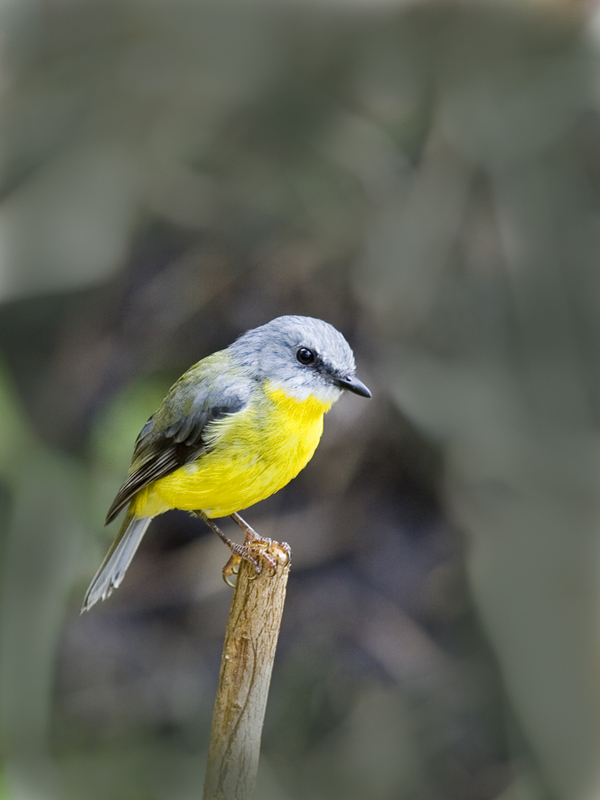 If you’re staying at Kingfisher Bay Resort at this time of the year, one of the first birds that you will hear in the morning at the moment is the Eastern Yellow Robin (Eopsaltria australis - pictured below). These small to medium sized birds are inquisitive and confident with humans. The Eastern Yellow is easily identified by its grey coloured back and beautiful yellow underparts with both sexes similar in plumage colour and pattern. 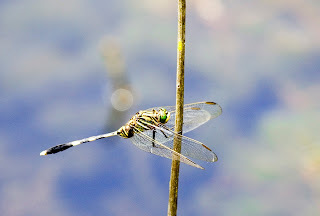 Whilst they might be a lovely little bird to look at and photograph, they never still for long – darting from perch to perch in search of spiders, small insects and other arthropods. This species has a good distribution across Eastern Australia, and will often make Woodland and Banksia heaths their habitat so, on Fraser Island, we see them Wallum and along the road to the resort’s jetty (where one side of the road is Wallum and the other Eucalyptus Woodland). DID YOU KNOW? An arthropod is a small invertebrate animal (insect, arachnid or spider) with an external skeleton, segmented body and six or more jointed appendages. They are found on land, in trees, in fresh water, salt water and even underground and experts estimate that they account for more than 80% of all known, living animal species. The autumn aroma of sweet smelling flowers not only attracts human visitors to our resort grounds, but also visitors of the featured variety. The Rainbow Lorikeet (Trichoglossus haemotodus) is a favourite with our international resort guests and is easily spotted with its bright red beak; colourful blue head and belly; green wings, tail and back; and yellow/orange breast. Their Latin name ‘haemotodus’ means ‘bloody’ and refers to their vibrant red colouring. ‘Tricolgossus’ refers to their brush tipped tongue, which is most useful as they lick and scrape the nectar off Fraser Island’s flowers. Their calls can be heard loud and clear across the island in the early morning and late afternoon, although the Lorikeets choose not to live on Fraser. 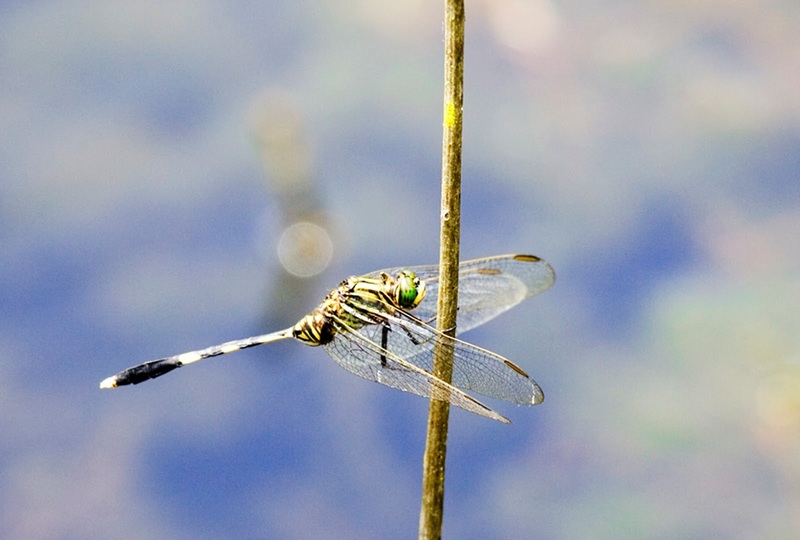 Each day they fly across the Great Sandy Strait and feed on wild flowers, before descending back to the palm trees of Scarness and Pialba (in nearby Hervey Bay) to roost. As always, our birds of prey haven’t disappointed us. During the month of March we’ve seen both Brahminy Kites (Haliastur indus) and Whistling Kites (Haliastur sphenurus - pictured left) soaring above the western beach and dunes on our way to the Dundonga Creek Mangrove colony. We’ve also spotted a few juvenile White-bellied Sea Eagles (Haliaeetus leucogaster) whose mottled colouring looks exactly the same as the Whistling Kite to an untrained eye. All three of these raptors are known to inhabit estuarine areas, though Sea Eagles and Brahminy Kites enjoy coastal areas and islands. For those eager birders reading this blog, there is a method to distinguish these birds when they have their mottled juvenile colours or when you can’t quite make out the colouring in adults. 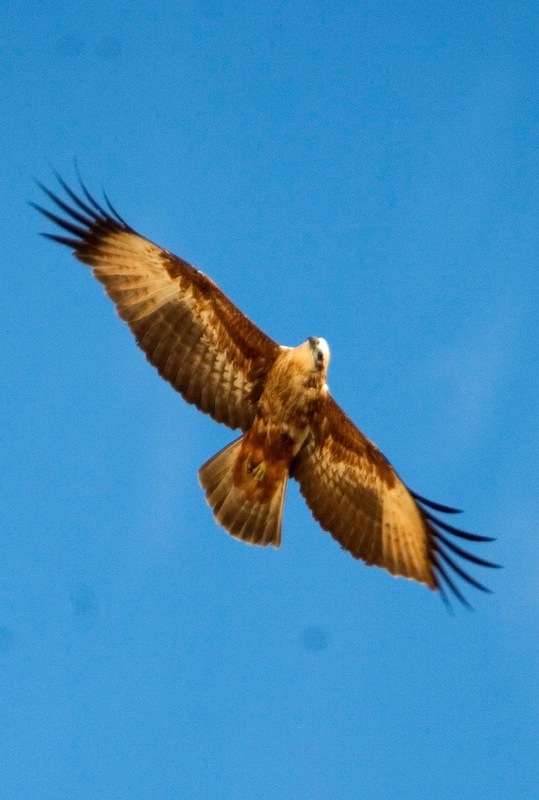 The first thing to do is look at their tail – the Brahminy Kite has a short tail, the Whistling Kite has a much longer and sometimes wedge-shaped tail and the White-bellied Sea Eagle has a large, fan-shaped tail. These beautiful birds of pery can also be identified by their call - the Brahminy Kite has a high-pitched, drawn out call; the White-bellied Sea Eagle produces more of a goose-honking sound and the Whistling Kite has an unmistakeable and beautiful high pitched ascending whistle. Well that’s certainly given us something to tweet about – until next time, happy twitching wherever you are! And if you've got any Fraser Island bird pics that you'd like to share on Instagram - just tag them #kingfisherbay and we'll happily share or post on our Facebook site. FRASER ISLAND: As summer slowly starts to slip away most of our colourful summer bush foods, like the Blue Quandong (Elaeocarpus angustifolius) and Native Blue Tongue (Melastoma affine), have started to disappear and we've started to notice subtle differences in the island's flora and fauna - with the return of visiting Rainbow Lorikeets (Trichoglossus haematodus) and new flowering plants like the beautiful Snake Vine (Hibbertia scandens) - which is also a handy bush remedy for headaches. One of our favourite summer fruits, the Midyim Berry (Austromytrus dulcis) can still be found in bloom as we head into Autumn. Midyims are delicious white, speckled berries with hints of blueberry, cinnamon and spice to the taste and the plants around the pool area have finally started to fruit - which is later than other areas of the resort mainly due to their sunlight availability, water and the sand quality - so we’ve been visiting regularly on our guided Bush Tucker walks. Autumn begins with the Autumnal equinox and as the earth tilts closer to the sun, days become shorter and nights grow longer. With this change of season, comes a change in the night skies as a new cycle of stars becomes visible above Fraser Island. 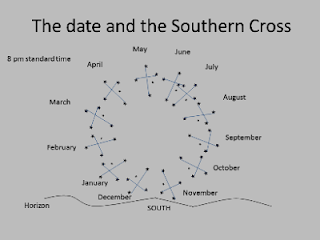 After a break of about five months, the Southern Cross has risen again and the Milky Way is clearly visible in a band that runs from south-east to the west. Whilst we can still see the stars in our summer sky such as Sirius and the Pleiades, the winter constellations of Orion, Canis Major and Gemini are setting in the western sky. Check out our blog from August last year to find out what happens in the skies during winter. But not all of the action has been taking place skyward and a group of passengers and Ranger Nick were lucky enough to spot one of Fraser Island’s more elusive critters in the sands around the resort – the Short-Beaked Echidna (Tachyglosgus aculeatus). These little Australian natives are easily identified by the long spines covering their back; short legs; shovel-like claws; and long snout, though are rarely seen on the island. This little fella (pictured right) actually stopped traffic when he crossed one of the asphalted roads around the resort enroute to his burrow. Echidnas are fascinating creatures. They are one of only two mammals to lay eggs, but whilst the females have pouches, they are not considered marsupials because of this - .they're called monotremes. DID YOU KNOW? Baby Echidnas are called Puggles or Joeys. But unlike their Kangaroo counterparts, Echidnas can’t keep their young in the pouch for too long. Understandably; as the spines start to develop (at around two to three months), the mothers move them into burrows, where the Puggles continue to suckle for another six months or so. In and around the resort, we can expect our Short-Beaked Echidnas to feed on grubs, earthworms, beetles, moth larvae, termites and ant nests. Echidnas have no teeth and catch their pray by flicking their long sticky tongue in and out – which is appropriate given their Latin name, Tachyglossus, means ‘quick tongue’. As far as marine life is concerned, there’s been plenty of big craters and depressions left in the sand which tells us our Stingray population has been feeding – this makes for interesting viewing and great pictures when combined with one of our famous Fraser Island sunsets. (If you want to learn more, check out our February blog for info on how these fascinating animals feed). From all the team at Kingfisher Bay Resort, we look forward to sharing more wild and wonderful island facts with you next time, tree huggers!